Indonesia has many natural resources that deserve to be promoted to the international tourists. Indonesia, which is crossed by the equator line is usually called as "Zamrud Khatulistiwa" (the Emerald of the Equator). Every region in Indonesia has its own unique culture and natural beauty. 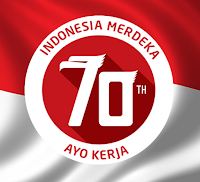 There are 17 reasons show that Indonesia is really wonderful why international tourists have to come to Indonesia. Below there are 15 locations and 2 uniqueness that became the main reasons that must be known by international tourists. This sources I have taken from Indonesia Travel YouTube Channel. Danau Toba, Istana Maimun, Samosir, Gunung Lauser, Tari Tor-tor, Ruma Bolon, Ulos, Bukit Lawang, Orang Utan, Sipiso piso, Taman Nasional Gunung Lauser, Desa Tuk-tuk Siaandong, Samosir, Patung Sigale-Gale, Makam Raja Sidabutar, Rumah Adat Batak Toba, Desa Tomok, Kain Ulos, Kerajinan Tenun, Bentor, Kuliner, Keragaman budaya, Arsitektur Sejarah, Sumatra. Jakarta, Thousand Island, Old City Jakarta, Fatahilah Museum, Taman Mini Indonesia Indah, Jakarta shoping Center, Concert Gelora Bung Karno, Java Jazz, Jakarta Convention Center, Betawi, Muara angke, Chinese Heritage, Dutch Heritage, Pencak Silat, Taman Impian Jaya Ancol, Keong Mas, Jakarta Bay, Fashion, Night Life, Fine Dinning, Street Food, Laisure, Monumen Nasional, Tidung Island, Pramuka Island, Hotel Indonesia Rundabout, Sunda Kelapa Harbour, China Town, Glodok, Tradisional Market, Ragunan, Indonesia. East Java might be the least populated area in Java island, but its charm and unique terrain will captivate its visitors. Capital of East Java province, Surabaya, is a cosmopolitan city and you can find any comfortable surroundings and facilities there. However within a short trip you might be tempted to enjoy the natural charms such as climbing Mt. Bromo and enjoying fabulous sunrise there or probably trying to conquer Mount Semeru, the highest mountain in Java (about 3676 meters above sea level). Some parks are available for those who prefer natural surroundings. An island on the eastern part of Java called Madura is also famous for its distinct culture and bull races of karapan sapi, usually held in August and September every year. Mount Bromo, Bromo Tengger Semeru National Park, Reog, ponorogo, Karapan Sapi, Malang Batu, Surabaya, Sunrise Bromo, Suramadu Bridge, Candi Singosari, Lautan Pasir Bromo, Upacara Adat Kasada, Pulau Madura, Bangunan Bersejarah, Chinesse Haritage, Toko Oen, Arsitektur Kuno, Gamelan, Rafting, Apel Malang, Kuda Lumping, Kuliner Lokal, East Javanese,Ijen Crater, Surabaya, Take It Easy in Malang, Singosari Temple, Trowulan, World's Best Surfing at G-Land, The Ampel Mosque and the tomb of Sunan Ampel, East Java, bayuwangi, BATU: Vacation City in East Java's Mountains, dubbed "Klein Switzerland", jember,balekambang beach, sempu island malang, The Surreal Madakaripura Waterfall, vestige of the great Majapahit Kingdom, jawa timur, apel malang, ponorogo. Bali, Travel Leisure, Ubud, Uluwatu, Pulau Seribu Pura, Hindu Culture, Seni Pahat, Tari Kecak, Tari Pendet, Surfing, Diving, Snorkling, Water Sport, Honeymoon, Karma Kandara, Sea Walker, Jimbaran, Kuliner, Spa, GWK, Nightlife. Safely protected beyond the lofty mountains and rugged granite cliffs of the central highlands of the island of Sulawesi, are the Toraja people who live in valleys that are lush with green rice terraces and fertile coffee plantations. Tana Toraja, Makasar, Sulawesi, Wisata Budaya, Wisata Magis, Upacara Ritual, Orang Mati yang Hidup, Lemo, Londa, Kete Kesu, Rantepoa, Rambu Solo, Upacara Adat Kematian, Rumah Adat Tongkonan, Batu Tumonga, Anyaman Tradisional, Lumbung Padi (Alang), Benda Adat (Patung, Keris, Kain), Cafe Festifal. Lombok, Mataram, Malimbu Hills, Sasak Tribe, Sade Village, Kain Ikat (Crafting), Bayan Village, Beruga,Tradisional Pottery, Pearl, Gili Trawangan, Gili Meno, Surfing, Diving, Snorkling, Underwater Beauty, Nightlife, Gandrung Dance, Gendang Balaq, Rinjani National Park, Tiu Kelep Waterfall, Lake Segara Anak, Mount Barujari. Mt. Kelimutu National Park is the smallest among six national parks in the stretch between Bali and the Nusatenggara islands. Its size obviously does not matter much when it offers one of the most spectacular wonders that nature has to offer. There are three lakes on the mountain sharing the same name, Kelimutu, meaning ‘the boiling lake’. Each has its own colors and a local name. But all are believed to be the resting place of departed souls. Kelimutu National Park, 3 Colored Lake, Bajawa, Ende, Caci (Battle Dance), Spider Web Rice Field, Bena Village, Sunrise Kelimutu, Kelimutu Trekking, Mount Inerie, Bena Tradisional House, Takpala Village, Lego-Lego dance, Rumah Pengasingan Bung Karno, Flores. On the westernmost tip of the Island of Flores, the town of Labuan Bajo, or also spelled Labuhan Bajo sits peacefully: a small fishing site with surprisingly comprehensive tourist facilities. The central logic for its wide range of amenities is the extraordinary interest of travelers to the existence of the Komodo dragon, locally called ora, if not for its superb national park that encompasses. Komodo National Park, Labuan Bajo, Diving, Snorkling, Spot Penyelaman, Underwater Beauty, Gili Laba, Pantai Pink, Pink Beach, Goa Kelelawar, Trekking Komodo, Kadal Raksasa, Komodo, Rinca Island, Kanawa Island. Underwater enthusiasts flock to this region because it offers the world’s best marine sights. Raja Ampat or "Four Kings", is the name given to these islands and comes from a local myth. The four major islands found here are Waigeo, Misool (which is home to ancient rock paintings), Salawati, and Batanta. Papua, Irian Jaya, Indonesia, Lego-Lego dance, Rumah Pengasingan Bung Karno, Ancient Tribe, Dani Tribe, Baliem Valley, Traditional Cooking, Traditional Weapons and clothes, Koteka,Wamena, Raja Ampat, Wayag, Missol, Waiwo, Resort and Eco Lodge, Underwater Beauty, Richest Biodiversity in the world, Manta Rai, Tradisional Music, Seafood Culinary, Sailing Adventure, raja ampat, papua, Raja Ampat festival, Festival Budaya Asmat. Many of the world's most ancient wonders can be found in Indonesia. From sacred temples to palace ruins, from prehistoric remains to living traditions, visitors from around the world come to Indonesia, attracted by its unique and diverse cultures and vibrant heritage. As a country with over 350 cultural ethnic groups, the cultural diversity of Indonesia deserves to be explored. When it comes to Indonesia, a wide variety of food is offered. Ranging from spicy meat curry to fried bananas to coconut ice and jelly drinks. Indonesian cuisine varies greatly. And all these foods will be combined with the main food of the Indonesian population, that is "Nasi" (Rice). There is a statement in Indonesia that food without "Nasi" is actually not food and this is the philosophy of Indonesians who always eat rice for breakfast, lunch and dinner.